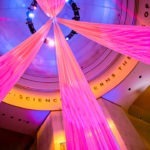 The World’s Fair Comes to MSI… again! 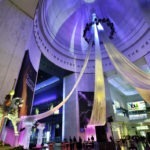 With wonderful exhibits, relics, antiquities and thematic vignettes, Chicago’s Museum of Science & Industry was the perfect location to host a “World’s Fair” theme event. 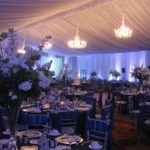 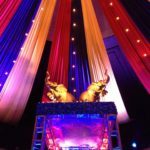 With dramatic draping in the rotunda, and striking lighting throughout, the museum was transformed back to the days of carnival barkers & fan dancers!